Sit back and enjoy a fine spread out on the water. 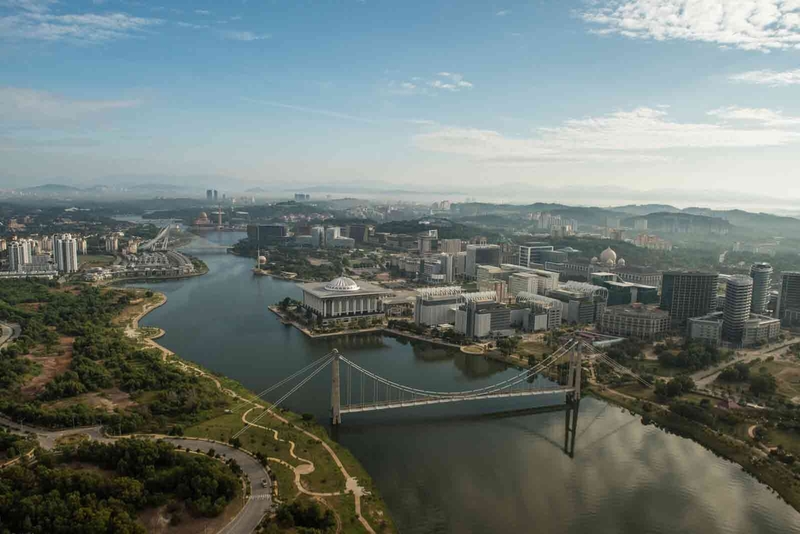 What better way is there to enjoy Putrajaya’s sights than out on the lake while indulging yourself with classic Malaysian dishes? What to expect? Putrajaya puts on a dazzling light show at night and a dinner cruise aboard the fully air conditioned boat is probably the best way to unwind and relax at the end of a long day. You could also opt for a brunch, lunch or tea session if you wish. The quality and service given to you during the cruise is akin to any 5 star outlet, with a twist on the location. Even before stepping onto the boat, you’re invited into the lounge by the jetty where you’re offered a drink and canapes while awaiting preparations for your cruise. Whether you're there with friends for a buffet or a romantic night for 2, the cruise takes place at a slow pace and enables you to relax and indulge in your meals while taking in the picturesque view of Putrajaya from the water. The menu includes beef rendang, stuffed squid and other Malaysian specialties accompanied by desserts at the end. If you’re there celebrating a birthday or special event, you can let the staff know ahead of time and they’ll help you create a unique experience such as extra entertainment for everyone aboard to enjoy. What to bring? Bring a camera along as you'll want to get some pictures of yourself against the beautiful backdrop during your journey. Adhere to safety instructions from the staff at all times during the cruise. Reservations for this cruise need to be made 7 days prior to your preferred date. Book your cruise directly with the company to avoid overcharging by third parties. The dining cruise also accommodates large groups and conference meetings. You can enquire with the company for more information. The cruise is nice and gives you a good overview of the Putrajaya and a good view of the architecture of each buildings. However the ships are not rea...read more The cruise is nice and gives you a good overview of the Putrajaya and a good view of the architecture of each buildings. However the ships are not really maintain and are very loud and also the audio system for English presentation was very bad.